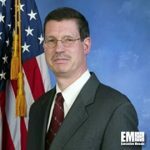 Bob Brodowski, formerly director of the National Reconnaissance Office‘s advanced systems and technology directorate, has joined Orbital ATK‘s (NYSE: OA) space systems group as director for advanced technology development. Orbital ATK said Friday Brodowski has more than 30 years of experience in programs that align with the company’s research and development efforts. “Bob’s program experience on the Space Shuttle main engine, solid rocket booster, the International Space Station, upper-stage and advanced reusable cryogenic propulsion systems, and numerous innovative satellite payloads makes him an invaluable resource for our human spaceflight, launch systems and civil and defense satellite programs, ” said Antonio Elias, executive vice president and chief technical officer at Orbital ATK. Brodowski has worked at NASA, where he held positions in program management, systems engineering and propulsion engineering. His long-time service at CIA led him to become a member of the Senior Intelligence Service. He is an associate fellow of the American Institute of Aeronautics and Astronautics and has received awards such as the National Intelligence Distinguished Service Medal, the Distinguished Career Intelligence Medal and the NRO Gold Medal. “Bob Brodowski is an ideal fit for Orbital ATK given his experience leading organizations and programs that apply the latest technology to enable new or more capable spacecraft and launch systems, ” said Chris Long, Orbital ATK national security systems vice president.